If you've always dreamed of a trip to explore the secrets and wonders of the Emerald Isle - or if you just can't wait to get back - this is the trip for you! On this adventure, you'll see a side of the island most never do and have memory-making experiences to last a lifetime. Join Tara De Róiste (Feakle, Co. Clare), Christopher Gambatese (Cork) and special guests VA based herbalist, Kathleen Maier of Sacred Plant Traditions and Atlanta, GA/Dublin based herbalist Lorna Mauney-Brodek of The Herbalista Health Network for an inspirational 11 day journey to the natural, sacred and mystical sites of Ireland. Get a free tour brochure pdf with in-depth itinerary and helpful information by CLICKING HERE. Join us as we journey to the places where we can renew our connection to the earth. We will seek out stone circles on isolated hillsides, walk with local herbalists and explore the ancient forests and bioregions that only exist on this magical isle. We will weave in traditional music and storytelling, meet new plants and hear tales of ancient fairy folk, while also immersing ourselves in contemporary Irish culture much of which is still rooted in its folklore and traditions. 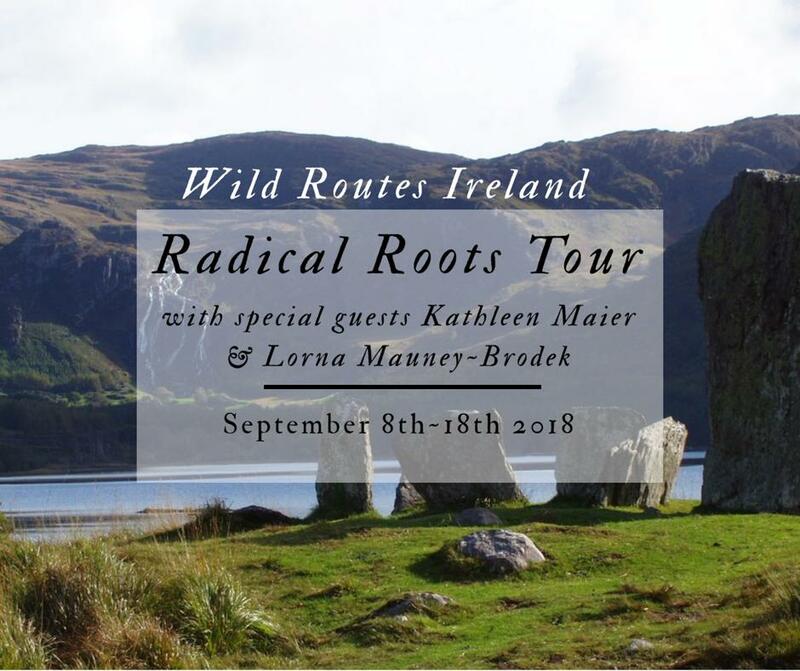 On this Wild Routes Ireland journey, we are blessed to have the infectious energy of two powerful women, Kathleen Maier and Lorna Mauney-Brodek. They will be sharing their passion for cultural and environmental repair as we explore the ways Ireland can move forward in today’s climate. 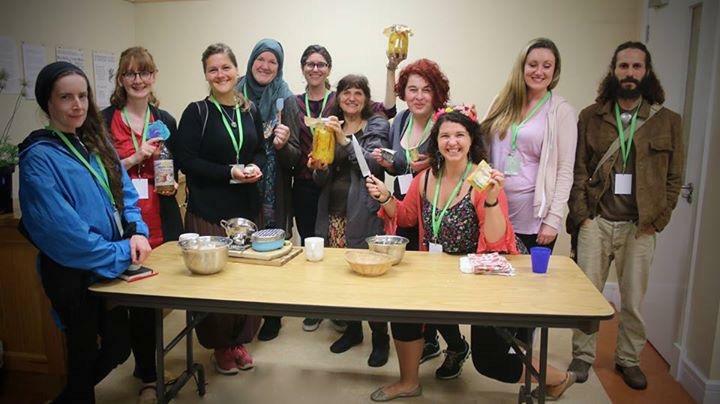 We will learn how we can use herbs as a tool for not just our own individual healing but also for breaking down barriers in society and making herbal medicine available for all. Viva la herbs! Immerse yourself in nature as we visit ancient oak trees as old as the kings of Ireland, the remains of the only post-glacial alluvial forest left in Western Europe, gorgeous pockets of temperate rainforest, a rare yew woodland, the famous Burren, and the endless scenic vistas for which Ireland is known. Explore the spirit of the land through stone circles, dolmens, holy wells, historic abbeys, sacred islands, hermitage caves, and so much more. Ireland is a special place, a liminal place, where the boundaries between realms is very thin. Join us as we visit the sacred sites that channel these deep earth energies. The cost of the trip is €2050 (Euros) until June 1 after which the cost will be €2200; Homestead Atlanta Members and Herbalista Sustaining Members receive an additional €200 discount. Meals: Three meals a day are included in package. You will be fed with wonderful nourishing food both while dining out and other meals catered by specially selected chefs. One lunch and one dinner are on you own (not included in price) where you can choose where you wish to dine in 2 different towns we will be visiting.